written on the body runs to the heart of an ongoing conundrum of museum ethnographic collections in that ‘while objects reflect the situation from which they are derived, they also present a distorted image of that situation even as they often come to stand for it. 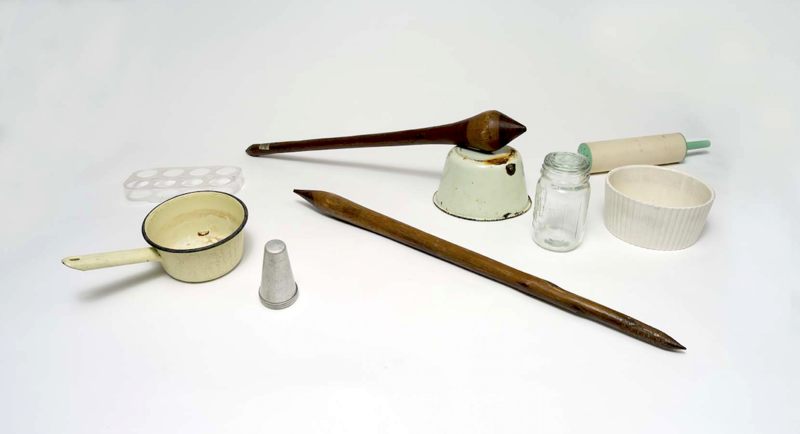 (3) As highlighted in this exhibition, the early 20th century practice of labelling objects perpetuated the lacuna between the museum object and what it purports to represent. Many of the objects in this show are those sourced from the 1930s to the late 1950s when the Museum’s founder, Lindsey P. Winterbotham, amassed a considerable collection. As was common practice in this period, objects were written upon as a means of identification and interpreted according to the collector’s background and own set of meanings. (4) The exhibition suggests that these crudely scrawled numbers and initials deface the object and can be likened to “scars”. Comparisons are also drawn between these markings and the time when Indigenous people were treated as primitive specimens to be researched and preserved. As a direct descendant of the Waanyi clan of north-west Queensland, Watson offers a refreshing “insider” perspective that differs from the conventional museum experience. 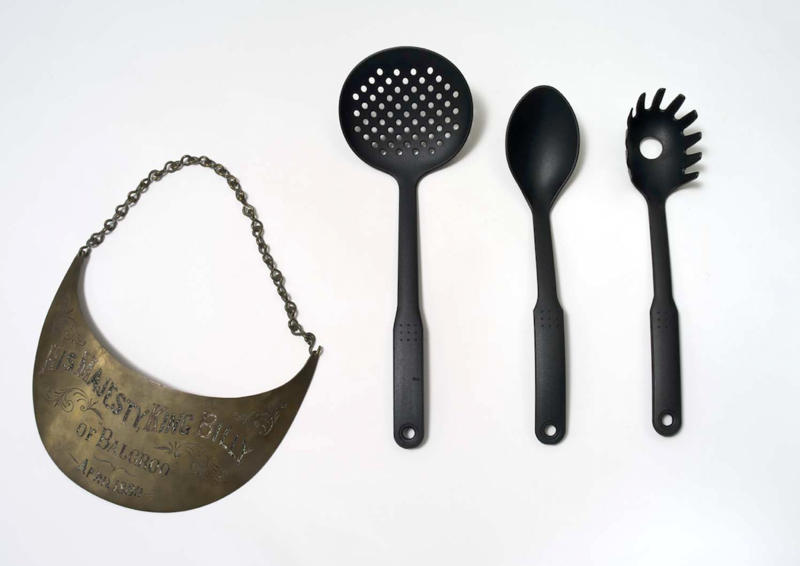 Rather than presenting objects as curiosities (or ‘other’), viewers encounter small clusters of objects in which items from the collection are mixed with an array of used household utensils. Examples include a wooden firestick resting askew on a rusty enamel saucepan; an anvil (nut cracking stone) placed alongside a novelty pink ice-cube tray, and a brass king plate beside a set of plastic cooking implements. There appears no direct relationship between the objects – other than the commonality that all of the things on display were once used in the minutia of daily life. The re-presenting of the museum objects into informal clusters invites viewers to understand them beyond the confines of their label. The clusters blur the divide between the “collected” and the “ordinary“ as the objects in the collection are removed from their heirloom status. Importantly, the clusters also encourage viewers to imagine the museum object in multiple uses that defy its museum label. For instance, a stone object labelled ‘axe head’ is described as a tool for killing an animal but it can also be used for preparing food or digging holes. Through presenting a web of possible associations and scenarios, the museum objects are salvaged and reinvigorated. They are no longer static objects, but things that were once treasured and used actively in family life. But I am many more things than that. Unsurprisingly, perhaps, parallels can be drawn between Watson’s oeuvre and the curatorial premise underscoring written on the body. In a career spanning over 25 years, Watson’s work is distinctive in the nuanced way it addresses the fraught relationship between Indigenous and non-Indigenous Australians. Aboriginal artefacts have also featured previously in her work. Watson’s drawings of “forgotten” objects found in museums formed the basis of her glass installation, museum piece (2006), at the Musee de Quai Branly, Paris. The presenting of museum objects in domestic settings in written on the body is redolent of her paintings that ‘privilege emotion to evoke a “felt”, rather than thought, connectedness.’ The quiet – almost understated – atmosphere in the museum is also reminiscent of Watson’s paintings where viewers are left to absorb and make their own connections. Written on the Body, Anvil [nut cracking stone], before 1949, Cairns, Queensland, Donated by Dr Stephens, 1949, University of Queensland Anthropology Museum, 2014. Music Courtesy: Raphaella Smits, Elegie, Johann Kaspar Mertz. Written on the Body: Panel Discussion. Judy Watson, written on the body, Anthropology Museum, University of Queensland. Siobhan Campbell, Suspended Histories, Museum Van Loon, Art Monthly 266, 2013/14: 266. 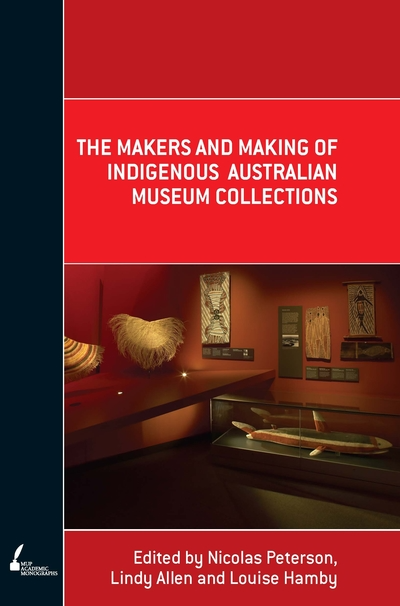 Nicolas Peterson et al., “Introduction” in Makers and Making of Indigenous Australian Museum Collections, Carlton, Vic, MUP, 2008: 2. Daniel Leo, An Arc of Aboriginal Relics in The Makers and Making of Indigenous Museum Collections: Carlton, Vic, MUP, 2008: 79. 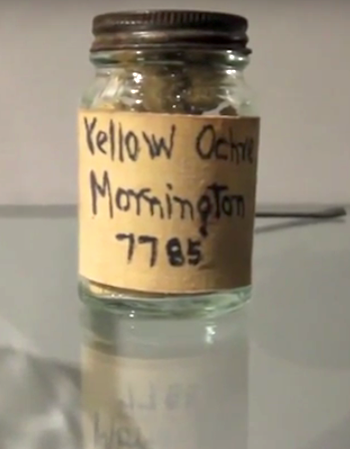 Lafe Charlton, Extract from found with bones, 2013, film: Judy Watson, Alex Barnes. Vivien Johnson, Upon a Painted Emotion: Recent Work by Judy Watson, Art and Australia 30.2 (Summer 1992): 238-40. Curators talk, written on the body, UQ Anthropology Museum, September 21, 2014. Accessed 20 October 2014, https://www.youtube.com. Judy Watson and Louise Martin-Chew, 2010. Judy Watson: Blood Language, MUP, Carlton, Vic. written on the body. Exhibition catalogue. Published in conjunction with the exhibition shown at UQ Anthropology Museum, 2014. Essays by Judy Watson and Diana Young. 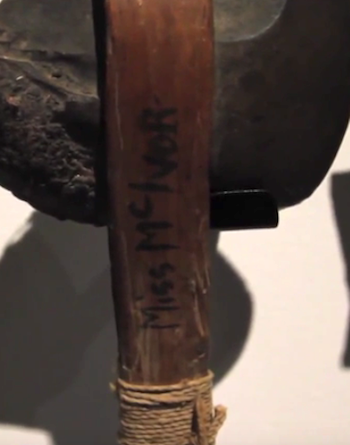 Header image: written on the body, UQ Anthropology Museum, 2014, Anvil (nut cracking stone), before 1949, Cairns, Queensland, Donated by Dr Stephens, 1949. Image Details: written on the body, Curators talk, September 21, 2014. Exhibition catalogue, published in conjunction with the exhibition shown at UQ Anthropology Museum, 2014. Essays by Judy Watson and Diana Young. Image Details: written on the body, Curators talk, September 21, 2014. written on the body, curated by Judy Watson and Diana Young was showing at the UQ Anthropology Museum, Brisbane, 15 March – August 2014. Image Details: written on the body, Curators talk, September 21, 2014. Nicolas Peterson, Lindy Allen, Louise Hamby, 2008. 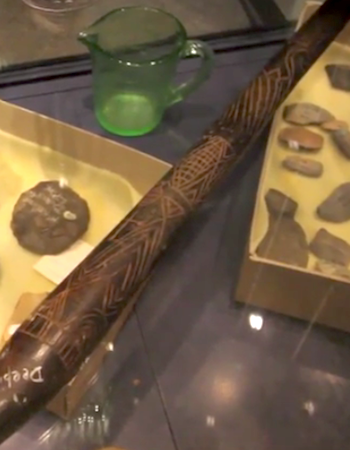 The Makers and Making of Indigenous Australian Museum Collections, MUP, Carlton, Vic.